Arsenal look really great at the moment. And although this is very popular bet today, I’ll be involved in their game third time in a row. They demolished the Toon in Cup game during the midweek (4-0 away), at the same time resting some key players. Big boost for Wenger is Fabregas, Walcott and Bendtner are fit and all 3 played at Newcastle (Walcott and Bendtner scored three times). It’s a big squad now and Wenger has no problem to name 11. They also score for fun lately. In 4 home games scored 14 goals (conceded 5) and in 2 CL games scored 11 goals! However in last two games at Emirates, they didn’t look impressive at all. First were shocked by WBA (2-3), then defeated Brum 2-1 but game was below their standards. So, I expect they’ll be very serious today. 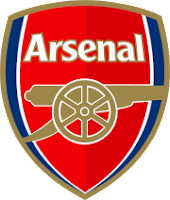 Arsenal are unbeaten in last 7 games against West Ham, while Man City is the only side that kept a clean sheet at Emirates in 2010..
After 9 rounds, West Ham are stuck to the bottom with just 6 points collected. They’re the side from whom I always expected to turn the corner and start moving away from a dangerous zone. Last season they made a decent spending on a transfer market, but unfortunately most of the signings were just money wasting (can’t not to think on Diamanti and transfer of 6 mill.). 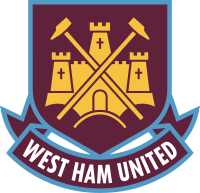 In this season nothing has changed and Hammers are living another bleak season in Premier. Also, at Tuesday they played 120 minutes against Stoke (won 3-1 after ET) with Grant naming very strong side. They’re tired and last thing they need is top side on the road that plays fast and attacking football. Next, Grant will miss his skipper Matthew Upson in the center of defense and striker Frederic Piquionne. Statistic also looks pessimistic as West Ham have managed just one clean sheet in 9 games, scored only 7 (lowest in Premier) and have failed to score in 5 of their last 6 games against Arsenal. Arsenal look like a mean machine at the moment. They’ll face, I think it’s fair to say weak, slow and tired side without a captain and major threat in the attack. Despite it’s a London derby, anything except a high scoring home win would be sensation in my opinion. I expect a very long day for the Hammers and 3-0, 4-0 scoreline.